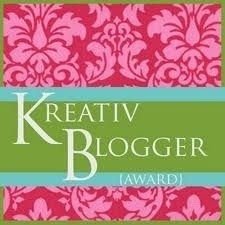 There is a whole lot of awards going on, and lucky for me I can join the ranks though a very kind, and unexpected, nomination for The Kreativ Blogger and The Versatile Blogger awards. The friendly tip of the cap signifies my blog was read (skimming is okay, too, friends of eD) and to some extent enjoyed. This, my friends, is an awesome feeling. So to my very talented writing friend at wantoncreation, bloody hell, thank you!! 1. I was sent to a speach therapist in the second grade to correct a hybrid impediment – half New York and half Elmer Fudd. I came home from school and asked my family what was wong wid me. 2. I grew up fascinated with motorhomes. My parents would take me to Dodger Stadium after we visited my Aunts and Uncle in Hollywood so I could walk through the plastic covered houses on wheels. I have to be honest, the clean lines and fresh-new-car smell is exactly what comes to mind when I think of heaven. They were so clean. So, so, so clean. 3. I wore an identification bracelet with the wrong birthday for the first three years of elementary school. 4. I was in a gang called the “Baby Warriors.” We dug out tokens and tickets from the dumpster and ruled Chuck-E-Cheese in Simi Valley in the late 1980’s. 5. I met Ronald Regan. He gave us jelly beans and smiled wide. 6. I won a pair of roller blades when I was a kid but never collected them (that may have been the last time I won anything) because I couldn’t’ get a ride to Santa Barbara. 7. I married my roommate after law school. As a couple, we have never not lived together (not to be double negative, or anything). 8. I botched a bleach job and the priest, Fral (Father Al) from my dorm at college called me Golden Domer. 9. I have lived, more or less, away from my family since the day I turned 18 (Australia, Japan, Washington DC, Northern California, and now England and probably a few other places in-between), yet nothing is more important to me than them. 10. Most random, and just maybe insightful, I have never seen the original Star Wars. If anything, these are the blogs I check out so to my eD faithful – give ’em a click! Of course, if you just want to leave this post and see something interesting, go here. Hee hee, the “bloody hell” always makes me giggle! Why thank you very much! If you weren’t already a recipient, I’d pass it on to you (though there probably is no problem with that)! NEVER? But how could you follow “Empire Strikes Back” and “Return of the Jedi”??? Next time I see you I would like to talk to you using the New Yorker Fudd accent. I love your facts! Especially the first one, I actually laughed out loud at that one! And you’ve never seen the original Star Wars? Wow. I wondered if there was anybody left who hadn’t seen it, in much the same way that there aren’t that many people left who aren’t on some form of social media! 😛 I half suspect there is a particular reason you have avoided this film? But thank you for the compliments, by the way, and I was more than glad to pass on the award to you – yours was one of the first blogs I thought of when I was deciding on the list. As I’ve said before, it’s a great blog! I kind of wish you still talked like a New York Elmer Fudd. Love you!